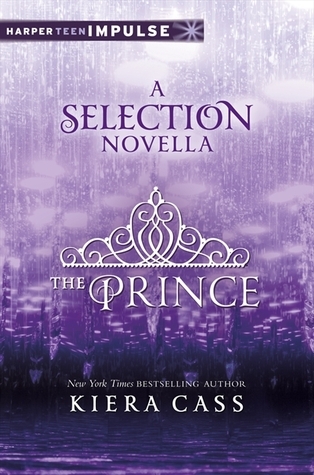 The Prince is a novella which accompanies best-seller The Selection, and the follow up The Elite which is due out this April. The novella is told from Prince Maxon’s point of view and begins a couple of days before The Selection starts. We get to learn more about Maxon, what his life is like and this thoughts about The Selection, which are both predictable and understandable. That’s not to say it’s boring though because 1) you’d probably feel the same way as Maxon if you were in his position and 2) it turns out that the Selection isn’t just to find Maxon a wife, there is something else at work and at play here. I really enjoyed The Selection and I’m looking forward to reading The Elite when it comes out however I had no idea this book even existed until a couple of days ago, so it was a nice surprise to tide me over until The Elite comes out. It was nice to get to learn about more about Maxon and his family, his Mother seems genuinely likeable and seems grounded and down to earth but you certainly get the impression his Father could be a nasty piece of work. I imagine we’ll get to see the harsh side of his Father during The Elite as it turns out there is more to the Selection than finding Maxon a wife. At the end of The Prince you get a sneak peak of the first two chapters of The Elite, which has got me hooked already and I’m a tad gutted that I’ll have to wait a few weeks to read the entire thing. Although this is a short book, I’d recommend reading The Selection first as I don’t think you’d get the best out of The Prince and might be a bit lost at points without reading The Selection. If you’re a fan of Young Adult or Dystopian books and you’ve not read The Selection yet, what are you waiting for? If you enjoyed The Selection, you won’t be disappointed by The Prince. Have you read The Prince? What did you think of it?